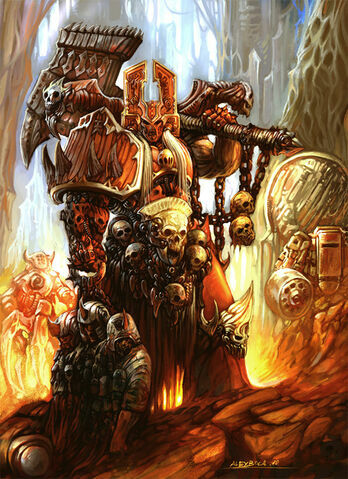 On of my aims is to build many of the special characters from the chaos codex, but to give them an Iron Warrior spin. Done some work on my Khan count as. Read on to find out more..
My mission was to make pretty badass Khan a like. I felt that he had to look like a berserker, and that he should have a naked left arm, in true a true Khan-esque way. 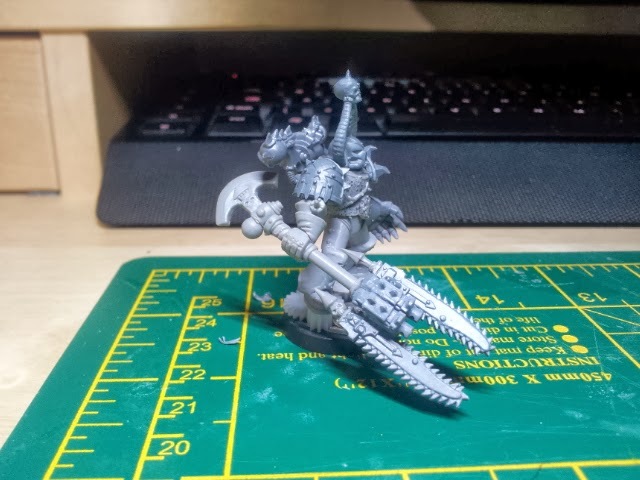 Also gorechild, his fancy weapon, but i didn't want it to be a chainaxe cos many of my standard berserkers came with these and i wanted him to stand out. 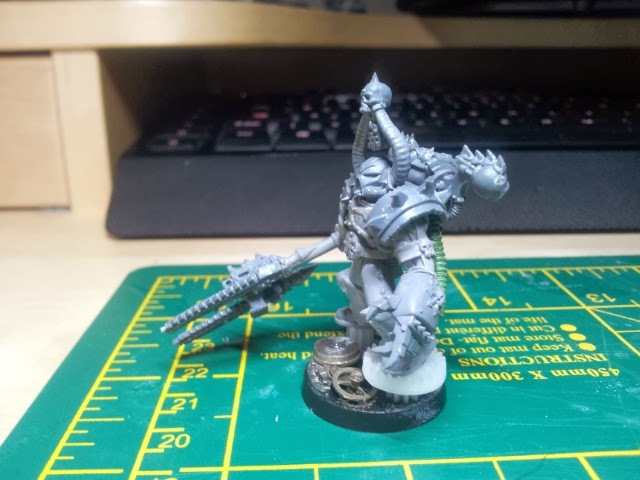 From the possessed sprue i lopped off the end of a tentacle arm thing and added a pointing fist. 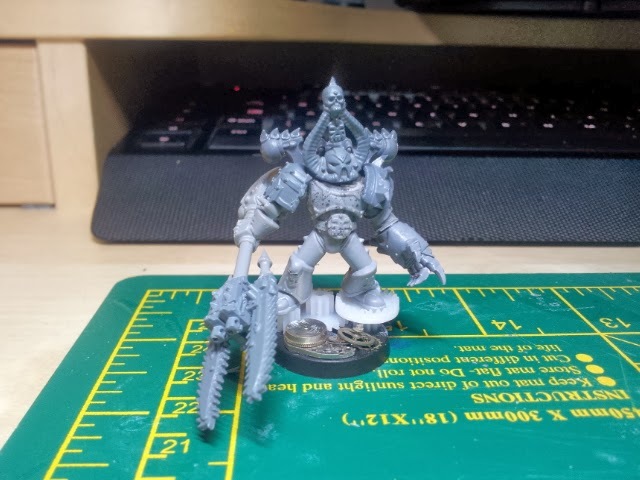 The spikey shoulder pad is an ork bit. Fairly happy with how he turned out although I wish i had used some plasma pistols on gorechild, cos that is what he somes with. Still some more greenstuff to go but the main build is done. Good progress!